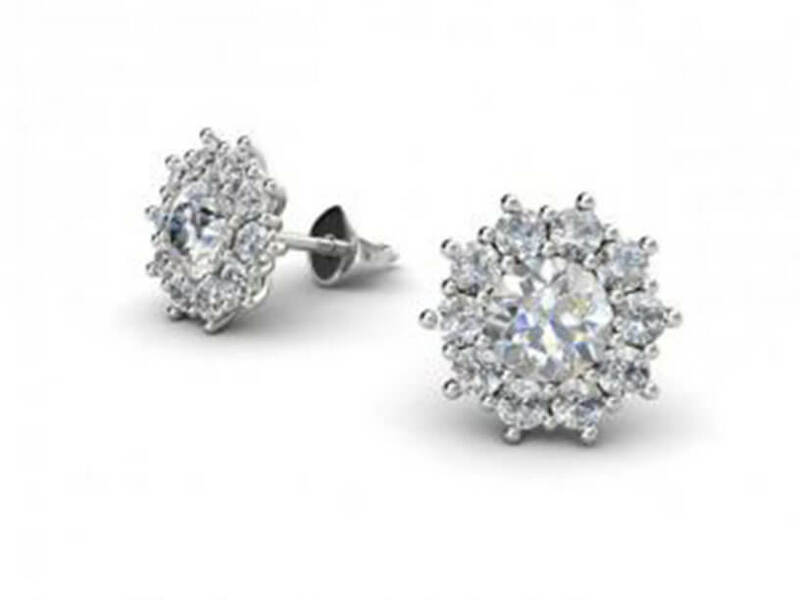 This beautiful diamond cluster earrings are stunning. 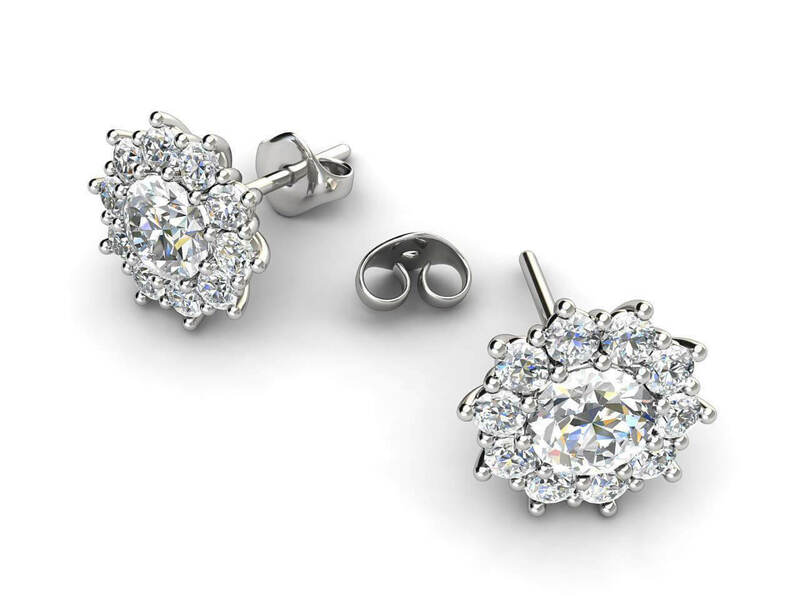 Set with a round brilliant cut diamond centre and a cluster of smaller diamonds to resemble a flower. The centre stone can also be a champagne diamond or a sapphire, a ruby or an emerald. Can be made in 18k gold or platinum. Weight side stones ** : 0.20ct to 0.70ct aprox. ** = size and total weight depends on the size of the centre stone.